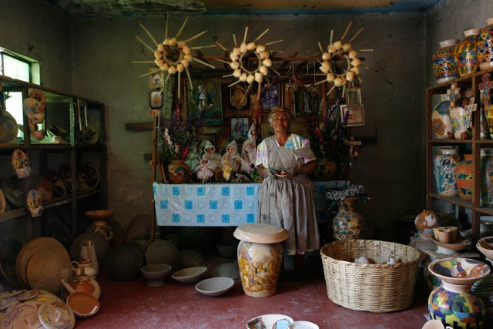 Art in Oaxaca - News! intermingled​ ​with​ ​the​ ​wedding​ ​party,​ ​and​ ​we​ ​hope​ ​to​ ​see​ ​more​ ​people​ ​from​ ​all​ ​around​ ​the​ ​world come​ ​and​ ​join​ ​us​ ​for​ ​our​ ​workshops​ ​and​ ​celebration. offline​ ​so​ ​there's​ ​NO​ ​need​ ​to​ ​worry​ ​about​ ​roaming​ ​charges​ ​when​ traveling​ ​abroad. articles​ to​ ​the​ ​total​ ​value​ ​of​ ​over​ ​$8,000!!! 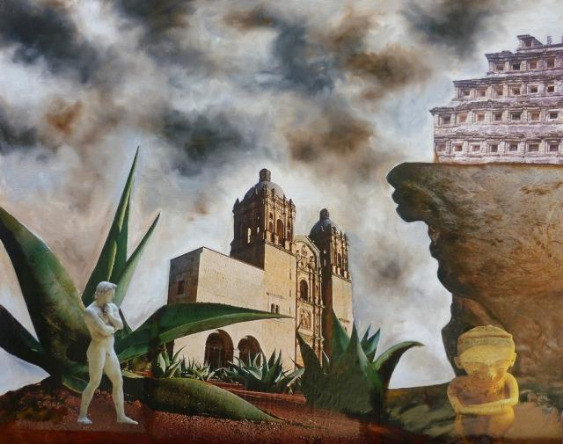 Book​ ​now​ ​and​ ​enjoy​ ​your​ ​art​ ​vacation​ ​with​ ​​Art​​ ​​Workshops​​ ​​in​​ ​​Oaxaca​​! Mari is currently in an exhibition at the Meueo de Art Popular in Mexico City together with other members of her Oaxaca collectivo. 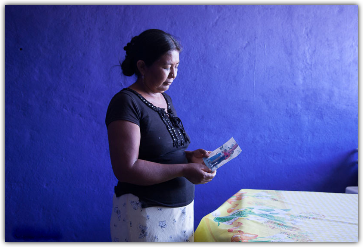 An exploration of immigration in the puebla of Tanivet, the exhibition is the product of many hours spent meeting local families, collecting their histories, and then documenting them in photographs and paintings. These are two of Mari's contributions. On Thursday, August 7, The Worcester Center for Crafts will launch a unique exhibit that will take viewers on an artistic journey through a world of storytelling. Titled “Ambient Folklore,” the exhibit will provide visual narratives of nine artists, available for exploration and explication by viewers. 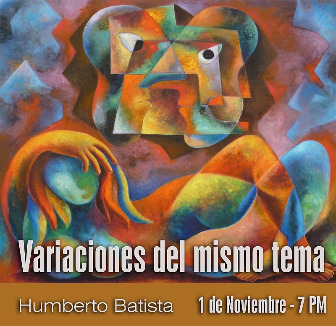 Humberto will be showing his latest paintings at the Ishuakara studio and gallery on November 1 at 7:00. Hope you all can come. o a nuestra dirección Cosijopi 208, Col. Centro, Oaxaca, Oax. Exhibitors include: Hector Aguilar, Jr.,Bayda Asbridge, Ella Delyanis, Helen Downey, Norm Eggert, Jennifer Falcon,Tom Grady, Bill Griffiths, George Hancin, Priscilla Harvey, Richard Hoyer ,Gerry Jackson Kerdok,Patti Kelly, CJ Kennedy, Jane Lattimore, Randy LeSage, Maxine McDonald, Lisa Montanaro, Theresa Monteith, Scott Nelson, Irina Parfenova, Jill Pottle, JoEllen Reinhardt, Ellen Ruther Donaldson, Donalyn Schofield, Mari Seder, Lynn Simmons, Sharon Smith Viles, Elizabeth Swallow, Jennifer Swan, Sue Swinand, and Sarah Williams. 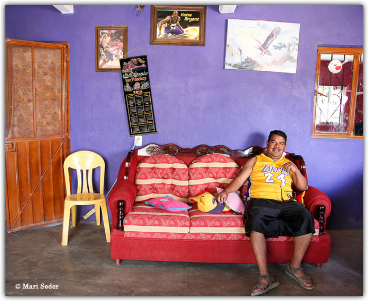 The two Oaxaca photographs below have been chosen for the museum's Off The Wall Exhibition. 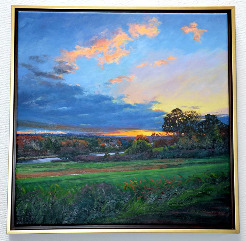 This is a highly prestigious juried show of work by artists from all over New England. 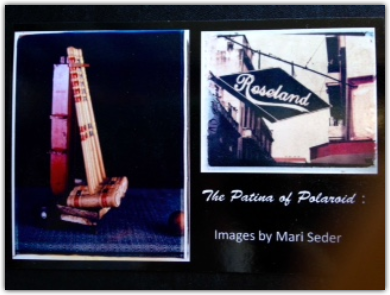 One of the photographs from Mari's polaroid series of Cuba: El tiempo Suspendido was juried in the annual auction of the Photographic Resource Center in Boston. It sold after a very competitive silent auction with two collectors bidding on it. Click here to visit La Jicara, the bookstore which is carrying Mari Seder's book CUBA: EL TIEMPO SUSPENDIDO / CUBA: TIME SUSPENDED. It's also for sale at the gallery where Mari had an exhibition by the same name in October 2011: Centro Fotografico Alvarez Bravo, located on the corner of M.Bravo and Garcia Vigil. A solo exhbition of Humberto's latest assemblages opens in Oaxaca next month. The show is titled "Fetishes" and will consist of 25-30 pieces. 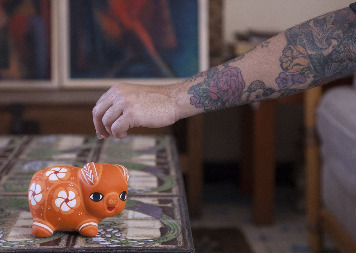 The location is "Arte de Oaxaca," one of the city's oldest and most established galleries--as well as home to the Rodolpho Morales Foundation. The exhibition begins May 27th. Anyone planning a trip to Oaxaca should be sure to pay a visit to Planeta.com, an award winning website with an informed sensitivity to ecotourism and responsible travel. 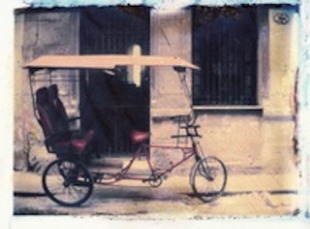 It's creative force is longtime Oaxaca resident Ron Mader, journalist, photographer, and friend to many all over world. As Ron explains: "Created in 1994, Planeta.com is a handcrafted website aimed at travelers and locals alike who share a common vision of eco-friendly, people-friendly and place-friendly travel." But you'll find much much more to discover at Planeta, not least of all the wonderful photographs. So take Ron's advice and "Poke around. There are countless ways to participate!" We still have a bit of tweaking to do so any suggestions would certainly be welcomed. Leave a message on our blog or click here to email us. Joan Gage, remember, is two time workshop student who wrote the Budget Travel article about her experiences with us called "Indulge Your Passion." A multitalented artist, photographer, editor and writer (Vogue, New York Times Magazine, Cosmopolitan, etc.) Joan also shares her life and thoughts at "A Rolling Crone--a blog on life after sixty." For a fascinating sampling of her art, writing, travel experiences and much much more click here. 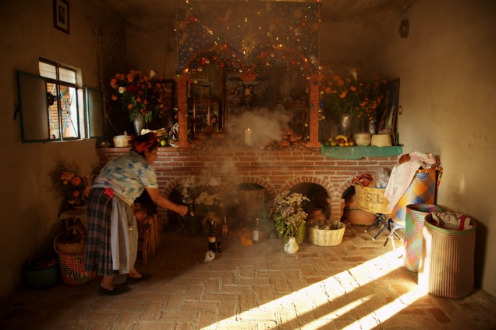 And be sure to search her blog to see her very individual takes on Oaxaca & Puebla!